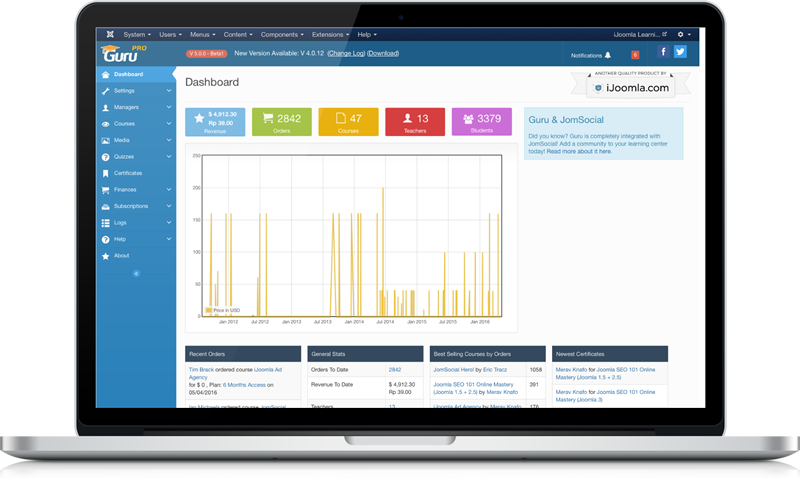 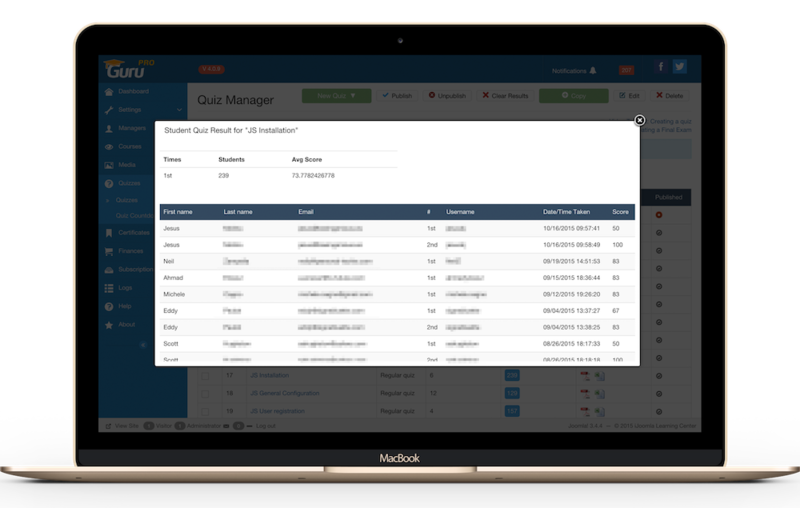 Admin has full control over courses, teachers, students, payments, promo codes, quizzes and so much more. 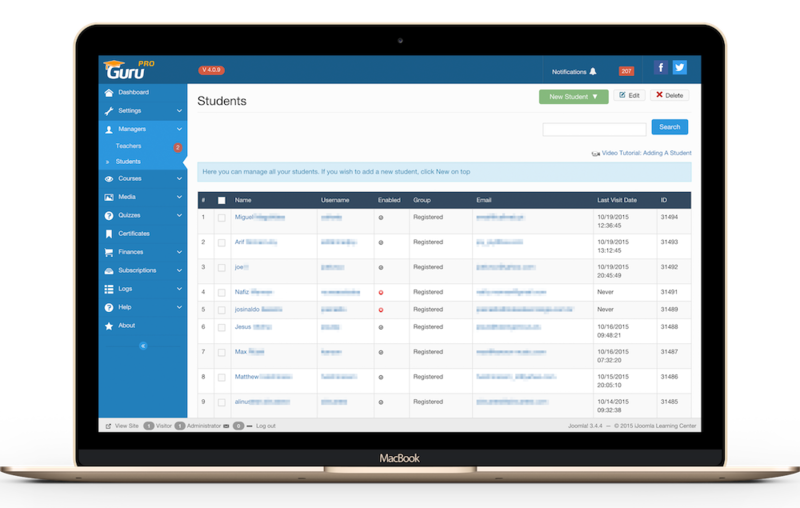 Add/edit courses, view students of the courses and their progress. 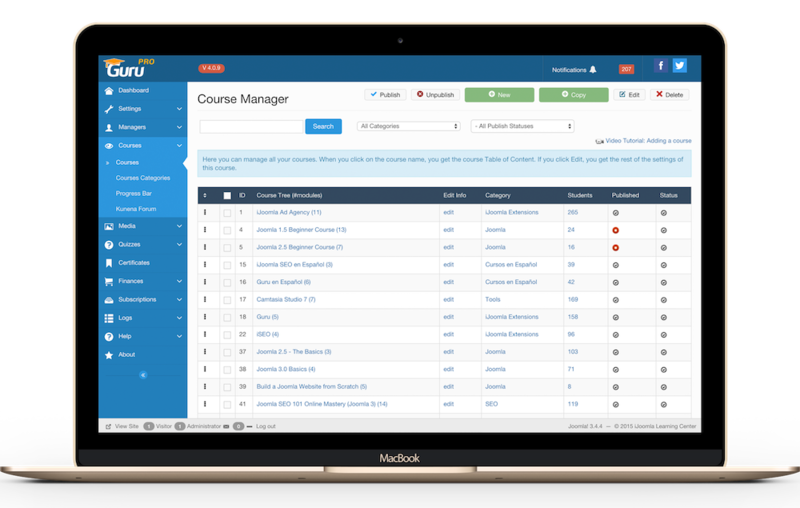 Add/edit students, reset student courses or remove students from a course. 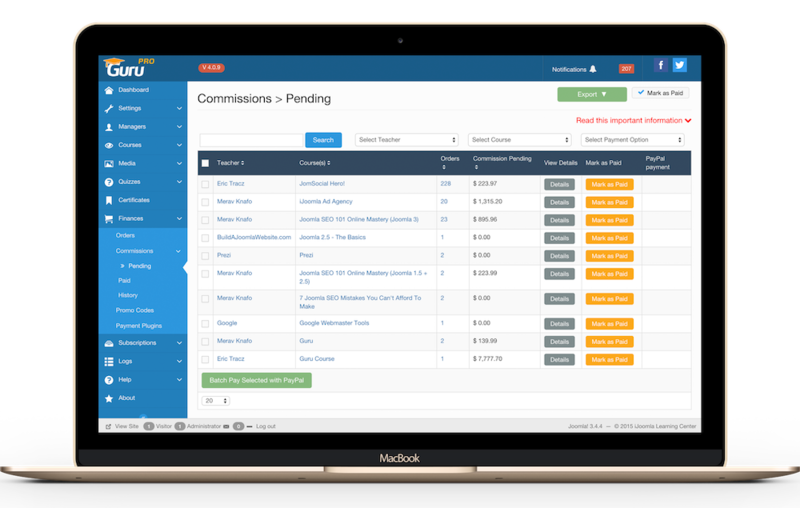 Set commissions for teachers, make mass payments, export payments to PDF or XSL. 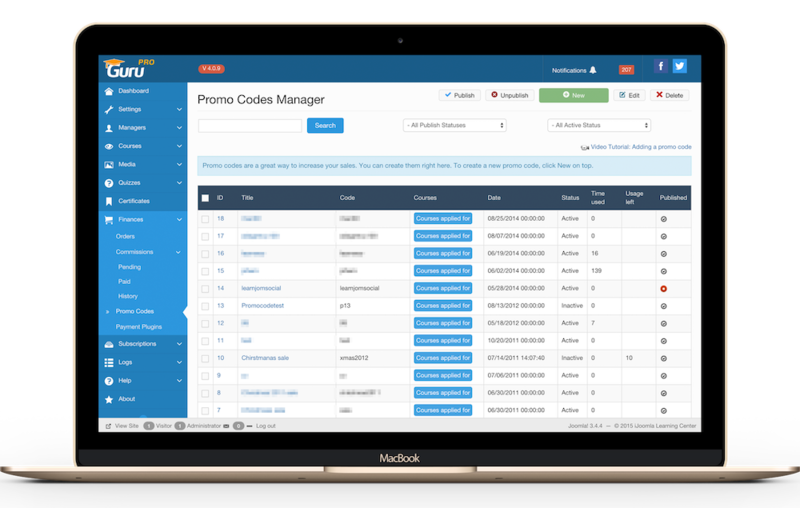 Create promo codes, assign to courses. 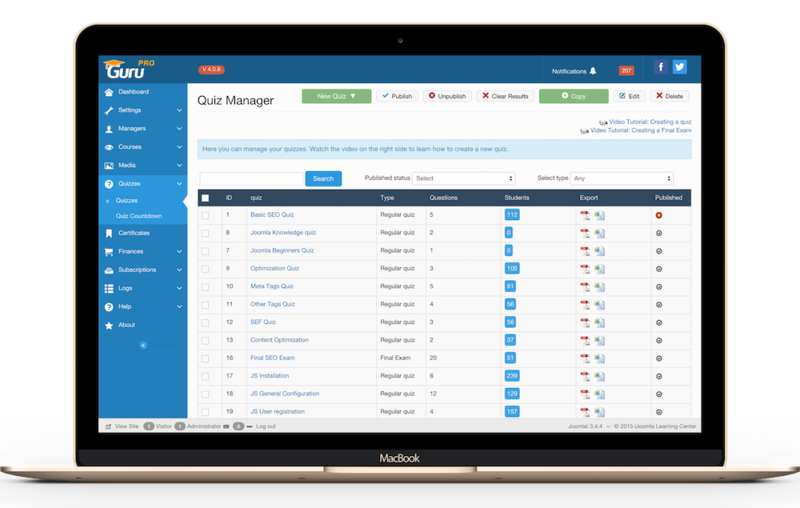 Create unlimited quizzes or final exams, add questions, attach media to questions or anwers, set a timer, and so much more. 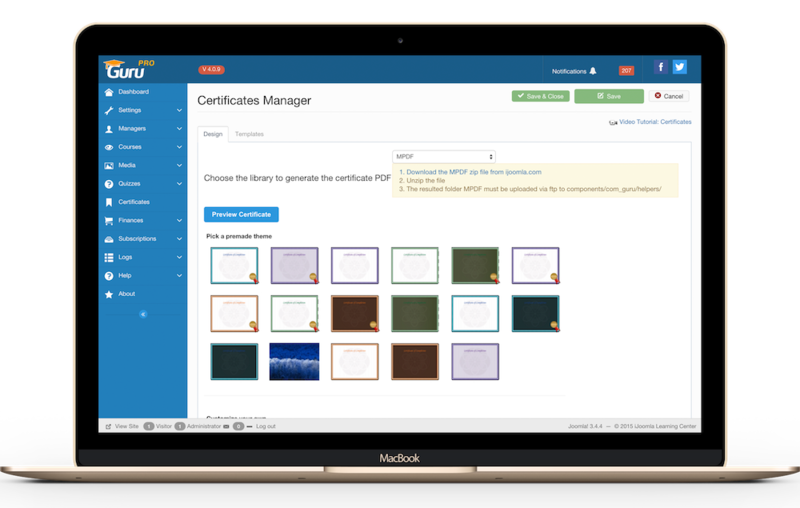 Set up certificates, set certificate terms for each course, choose the design and which details to show on the certificate.